The values of the open society—critical inquiry, pluralistic politics, civility in debate—are under attack as never before. The assumption that an open international economy leads to or supports open society is in trouble, said renowned political economist Dani Rodrik during his conversation with CEU President and Rector Michael Ignatieff on May 17. The rise of globalism and the expansion of education have created new rifts in societies that make it difficult for low-income, low-education voters to unite under one platform, said Thomas Piketty, professor at EHESS and the Paris School of Economics, who spoke as part of the Rethinking Open Society series at CEU on April 18. Social progress, prosperity, security, and the concept of open society all emerged from the horrific ordeal of war, according to Margaret MacMillan, professor at the University of Toronto and the former warden of St. Antony's College, speaking at CEU March 7 as part of the Rethinking Open Society series hosted by CEU President and Rector Michael Ignatieff. In advance of Germany’s Social Democratic party (SPD) agreeing to form another “grand coalition” government with the conservative Christian Democratic Union (CDU), Director of the German Council on Foreign Relations Daniela Schwarzer spoke at CEU on “Germany and the Fate of Open Society in Europe.” Her lecture was part of CEU's ongoing series Rethinking Open Society. We cannot understand inequality without thinking about recognition, according to Michele Lamont, Professor of Sociology and of African and African American Studies and the Robert I. Goldman Professor of European Studies at Harvard University. In Western societies, worthiness is defined by socio-economic success, creating a recognition gap between social strata, said Lamont, who spoke as part of the Rethinking Open Society series at CEU on December 4. 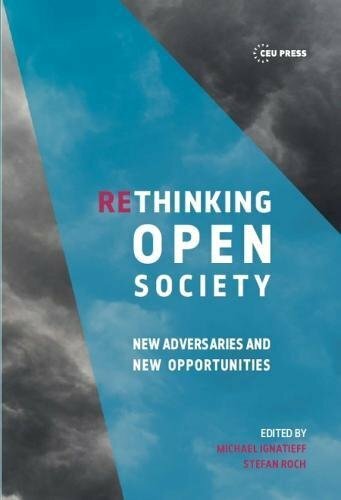 Trust and a sense of belonging, as well as an emphasis on duty in addition to rights, are key to preserving the freedoms of democratic society, according to writer and philosopher Sir Roger Scruton, speaking at CEU November 16 as part of the Rethinking Open Society series. Scruton, whose lecture was entitled “Liberalism and Loyalty,” is a fellow at the Ethics and Public Policy Center in Washington and a contributing editor to The New Atlantis.